Are you feeling sick or do you already know your illness? 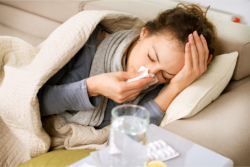 Regardless of whether you are already sick; looking for information about your illness; or if you just want to arm yourself with knowledge; Roselle Park Rita Pharmacy has compiled this list of diseases and conditions for you. Simply browse through our database and arm yourself with the knowledge of what illness you have and how best to fight it.